Do you know about hot trend color hair this year? The blue back hair strikes again. A dark black hue with a hint of blue is not only mysterious but really flattering. It’s a great choice for you to help you show your daring side with every turn of your head catching the light. There is a lot of way to combinate of blue colors hair dye from lighter royal blue to navy or midnight blue to fuse with black hair color to flatter any skin tone. Lighter shades of blue back color go well with dark and fair skin and darker ones compliment light and pale skin tones. 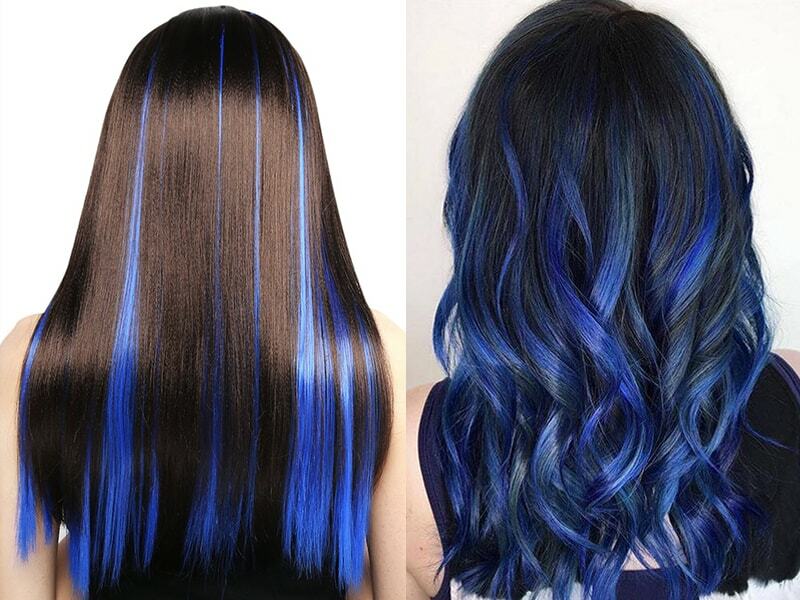 Check out these exquisitely different best blue black hair dye. Each year, Layla Hair research and compile a list of the best blue black hair dye for your natural hair or hair extensions. There listed below can be found online and in your local high street store. Please read until the end to find out what we have! 5 Should I do double black hair dye on natural hair at home? 5.1 Should I do double black hair dye on natural hair? 5.2 Should I do the process at home? 6 Should I blue black hair dye on red hair? Hey, beauty! Are you aiming for dark and sultry, but with a cool edge? This is the color for you! Subtle and chic, this color will take you from the office to the party. And have you looking totally fab for both occasions. It transforms in different lighting, and the deep dark color leaves your hair with awesome depth and shine. To achieve this look, search for a dark blue black color that will give a high gloss with a fancy look. Layla hair recommend treating your hair prior to coloring so it’s super smooth and ready to rock the new shade! Especially, there are many shades of blue hair including blue highlights, midnight blue or light blue hair with purple, etc. Playing with colors and see what works suitable for your skin tone and style. Fairer skin regularly works better using more of a purple-blue. By contrast, darker, more olive complexions can take a deep cooler blue. If you like to make a statement with your hair, this is the one for you! An allover blue black hair dye will really make everyone do a double take and say ‘Wow’ when seeing you. Before you decide to buy a blue black hair dye, you need to understand how hair dye works in your hair. There are a few different types of hair dye and they all have advantages and disadvantages. One of the safest typesof dye is the color rinse. Free of ammonia and peroxide, so they will be safe for hair. They are perfect for ladies who prefer to do their own hair at home. A color rinse does wash out after time and they are great for girls who do not want to make their hair more lighten. The first is the semi-permanent color which is like a rinse. But they last longer because they use heat to seal into the hair. Most semi-permanent colors dye need at least 30 minutes of heat to set properly. Like rinses, they are free of harmful chemicals, but they do not last very long. About up to 12 shampoos. Second is the demi-permanent color does last longer. And this type does include some peroxide. They are still ammonia-free. You are able to expect demi-permanent colors to last 24 shampoos. Now, Layla Hair will share with you Top 5 Best blue black hair dye. Let’s start! Garnier Nutrisse Nourishing color creme nourishes with grape seed and avocado oil. The nourishing color creme enriched with oil concentrate penetrates deep into your hair fibers to nourish and condition. So it takes color better and holds it longer, root-to-tip. This dye delivers rich, long-lasting color with 100% gray coverage. 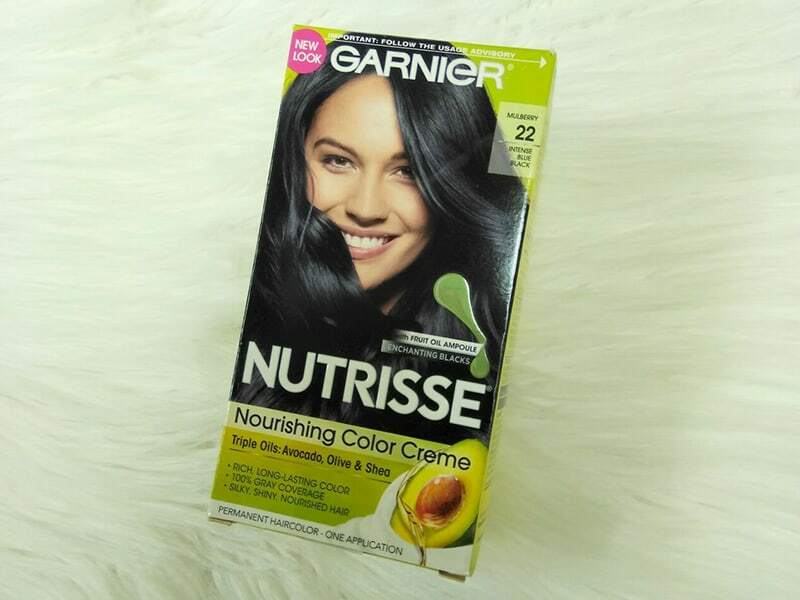 Garnier Nutrisse shade 22 is one of the best blue black hair dye. It is our most intense blue black. Moreover, this is best for anyone with natural hair between light brown and black hair. Nutrisse 22 will provide 100% gray coverage. 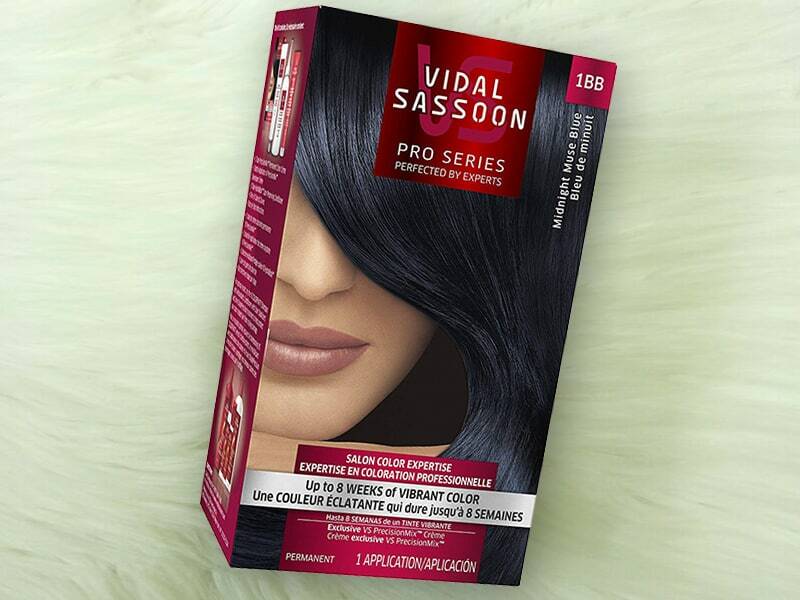 Next, the Vidal Sassoon company has developed a new blue black hair dye that lasts up to eight weeks. This formula is responsible for making bold and vibrant. This color is semi-permanent and includes the proper pigments for the color you expect to get. The box also includes their HydraBlock Color Preserving Conditioner to prevent fading. The color is expected to last up to 40 washes. No ammonia technology innovation that gives your hair visible shimmering tones, glossy shine. The delicate fragrance makes coloring a luxurious treat! This is enriched with a patented conditioning complex which helps protect the hair fiber for voluptuous hair: exceptional softness + glossy shine. Easy + clean to apply, even for beginners. For extra care for your colored hair: L’Oréal. The worldwide No.1 in blue black hair dye. In addition, the cream color is a dream color! Introducing a Clairol breakthrough. 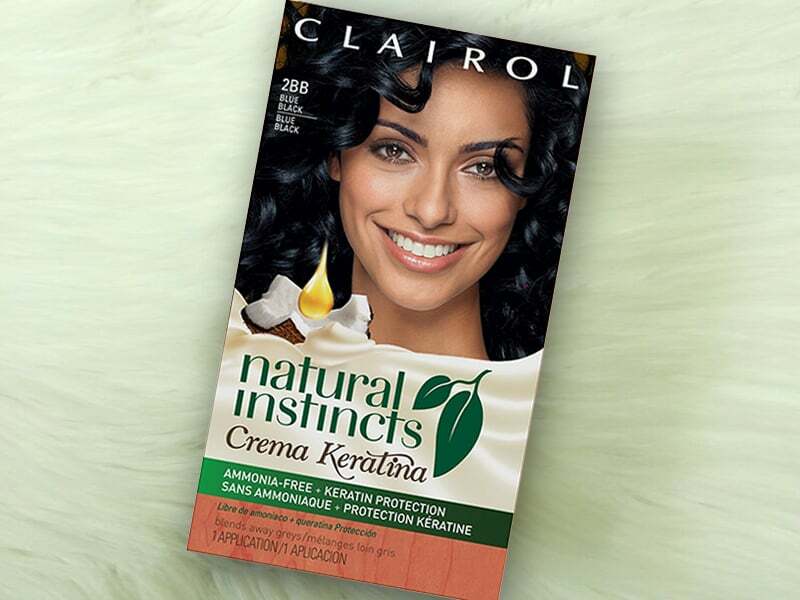 Natural Instincts Crema Keratina protects and smoothes hair while it colors with Keratin and Coconut Oil. A lot of benefits like the most advanced semi-permanent system, smoothes and protects while it colors and unique 20-minute color gives even the darkest hair a color boost. Last but not least, 0% Ammonia. 100% Shine. Finally, Rich, Caring Formula for blue black hair dye. 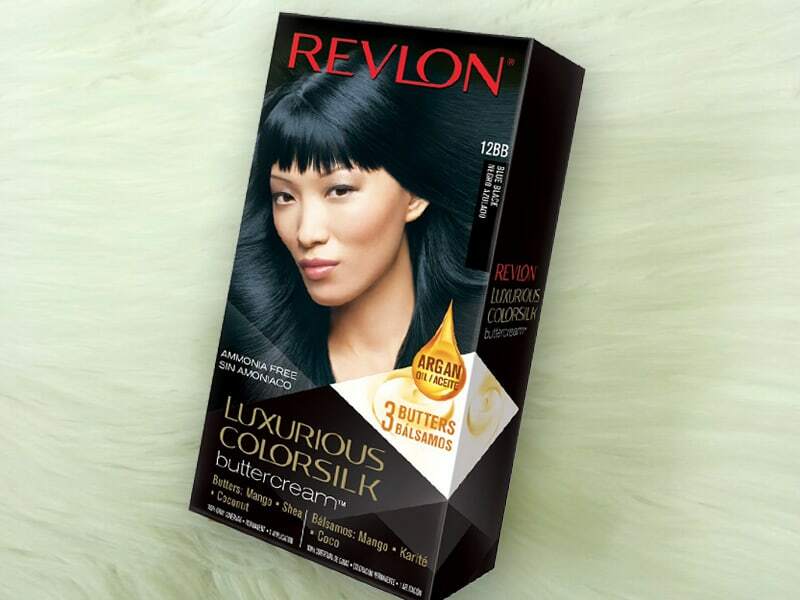 Get long-lasting, superior color, shine, nourishment and 100% gray coverage with Revlon ColorSilk Buttercream permanent hair dye. This revolutionary ammonia-free formula is enriched with our Triple Butter Complex of Mango, Shea, and Coconut Butters. From classic colors to trendy hues, you’ll find your perfect match. No matter which shade you choose, you’ll get long-lasting, superior color and shine. If you have dark hair, you should bleach it to get the exact color you want. With dark hair, the dye might not appear the way it would on light hair. Hence, lighten your hair to get an accurate color. A bleaching kit will come with a set of rules. Please be sure to follow them accurately. Moreover, if you want highlights or a balayage, then use foils to keep the colored hair from getting mixed with your natural hair. The first step, wash your hair with shampoo, do not use conditioner. Second, mix the blue black hair dye as per the instructions are given on the dye box. Then, apply the dye to your hair as you desire. If you’re applying it all over your hair, remember to start at the ends. Coat your hair with the dye section wise, applying it thoroughly. Using hair clips to section off the other parts of hair while doing this. After this, let the dye sit for as long as mentioned on the hair dye pack. Using a shower cap or a plastic cover (material that cannot absorb the dye), cover your dyed hair and leave it. It always helps to have a timer set so you can read or do some other work. Finally, rinse your hair with cold water. If the dye pack comes with a shampoo and conditioner, then use that shampoo and conditioner. Otherwise, just rinse the color out until the water runs clear. When it comes to hair dye, you should pay attention to the coloring product if you don’t want to damage it in the long run. Choosing hair dye products is essential; however, do you know how to buy the best product? In this blue, black hair dye review, we will help you find out five key factors of the right product. • Price: Price is a variable. In the market, different products offer a different price. So when you want to buy hair dye, think carefully about your budget. Even if your budget is low, you can still find a product that matches your preference and expectations. • Ingredients: 100% hair dye contains chemicals. It is just a matter of where the chemicals come from. Some lab-based chemicals are harmful not only to your health but also to the environment. You can also consider using natural and organic hair dye. • Application: If you plan to apply it at home, you should buy easy-to-apply products. If the item requires a complicated step, say goodbye to it. • Durability: There are two types for you to choose: permanent and semi-permanent. You should pick it according to your preference. Should I do double black hair dye on natural hair at home? We will break down the answer so that you can follow it more accessible. Should I do double black hair dye on natural hair? There are two ways to answer this question. First of all, if you have naturally black hair with dotted white hair, the black dye should save you from this problem. Sometimes, when the previous color faded, the only way to get back to our natural hair color is to dye it black (for those who have black hair of course). In case your natural hair isn’t black, you must bleach your hair and make sure it is bright enough to be compatible with dark hair. Double black hair dye on blonde or red hair will require bleaching if the previous color is still vivid there. Should I do the process at home? Coloring hair at home is not a big problem for experienced users. However, some incidents prevent you from getting your desired hair color. Choose the right formula. As for DIY-ers, the most critical factor is the formula for the coloring product. Gel and liquid method are much more effective compared to the foam formulas since they can penetrate curly strands with ease. You can blue black hair dye at home because it is more on the darker shade of the spectrum. However, if you want to lighten your hair, visit a salon. No shampoo before dying. And we mean it. Whether the color application is successful or not depends much on how dirty your hair is. Your scalp sebum will support the process and work as a buffer. So you should skip shampoo at least a day. Should I blue black hair dye on red hair? What if you want to blue black hair dye over your fading red hair? How would be the effect? We would strongly suggest you not to. The two colors are bright and can’t support each other very well. The blue black, though looks darker with the red, still cancel each other. If you still love the mixture, then you can use an intense blue, black hair dye on red hair. However, it can never really show the exact blend because blue black will look more black. When dying your hair, you should consider the color wheel. That being said, the two opposite color will eventually neutralize each other and then turn into brown. If you want to blue black hair dye on red hair, you need to decolorize your hair first. You don’t have to do it all the way, just stop when it is light enough for the blue color to reveal. If your hair comes with an underlying warmth, you need to decolorize it until it is compatible with blue color. In case, you have already bleached your hair, but it still has yellow shade, you shouldn’t dye your hair blue black. Blue in combination with yellow will turn into yellow instead. For those who bleach hair to the white blonde color, you should add a bit of violet shade into the blue dye to conceal the yellowish of your hair. 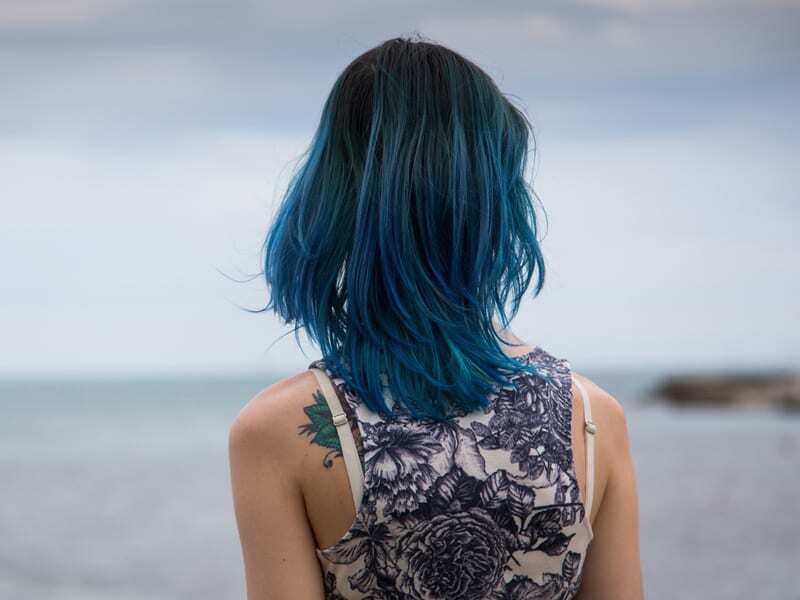 Though black, blue hair dye can look quite dark, you still need to be careful. There is nothing well-blended than natural black hair with subtle blue highlights. For those who have short hair, blue back hair dye is a perfect choice for you. There are many different short hairstyles. Each you can customize to suit with blue, black hair dye. 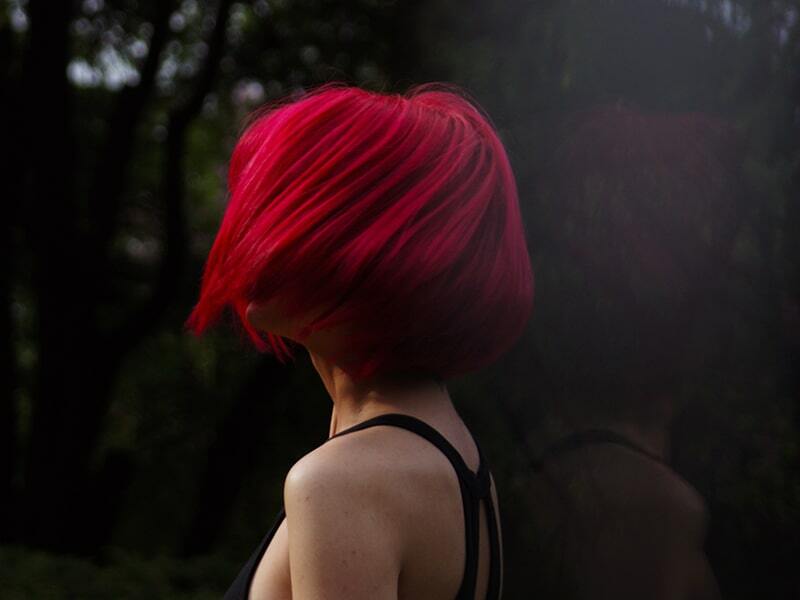 As for short bob, it comes with significant reflective beauty. As you can see, the shades come with a slight twist in color. The natural black root color enhances the brightness of blue color. 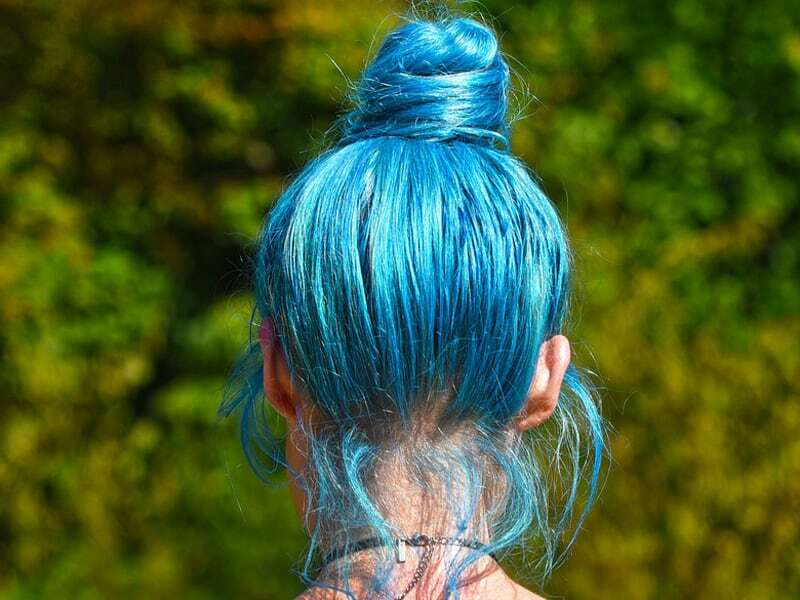 It creates a theme for blue hair dye to reflect its color. If you want a personal touch, try to add the color to the bangs as well. For those who have shoulder length hair, blue, black color is just a perfect solution for your fashion problem. It offers a dimensional shade. If you have a closer look, you will notice the different hues of depth between curls. We recommend you add some curls to your should length hair. This is a list of Top 5 Best blue black hair dye. Layla Hair hope you will have meaningful information for all customers after reading the article. It is really useful to know what is the best dye for blue black hair. If you have any questions or comments, please comment below, we will answer you and give you pieces of advice! Thanks so much for reading! See you soon! Layla Hair.